The Guest House as seen from the Main House. It provides a very comfortable place for visitors to stay while at the ranch. Greetings! Sharon and I had a great visit with Mark and the boys in early August. 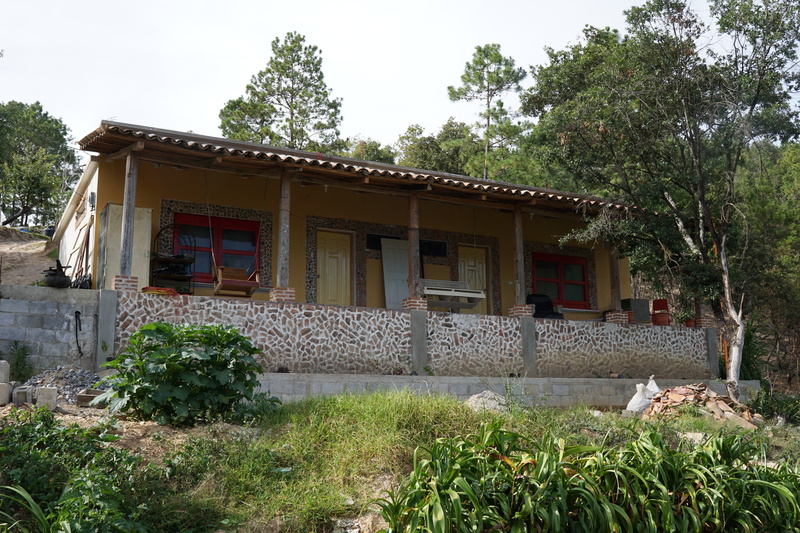 We were able to stay in the completed Guest House and enjoy the beautiful weather in Huehuetenango. We want to share with you some of the plans for the Youth Ranch we are beginning to raise funds for. These projects will allow Mark to better minister to the young men. We appreciate how faithful you have been in supporting this ministry and ask you to pray for these needs. Mark has been working on plans for expansion of the Ranch House and facilities. Two projects are needed to help with the day to day operation of the ranch – expanding the kitchen to facilitate greater food preparation area and improving the water supply to the kitchen. Cost is projected at $20,000. The second is a new wing of rooms for the older boys to have a feeling of “graduating” into a more personal living space. This addition will also provide more educational space in the main house. Cost is projected at $18,000. 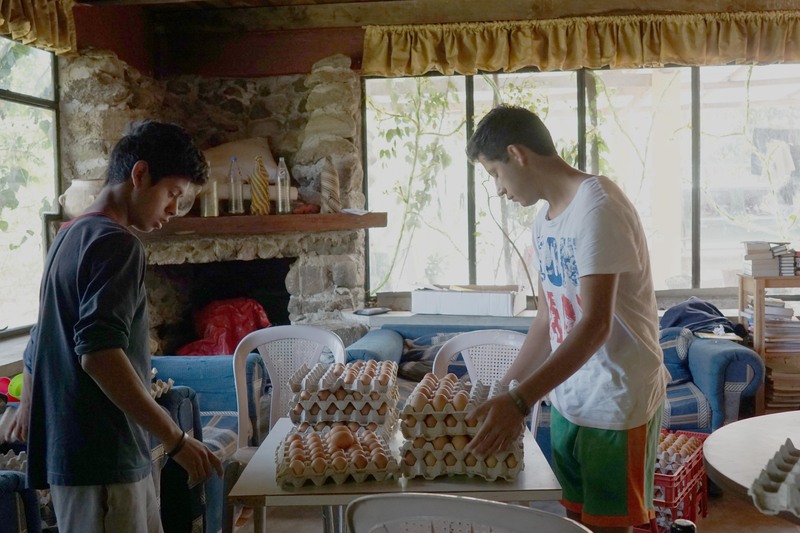 Mario and Joel sort the eggs for delivery to clients. The eggs help provide income to cover expenses for the ranch. Joel sews a shirt seam while the boys watch. 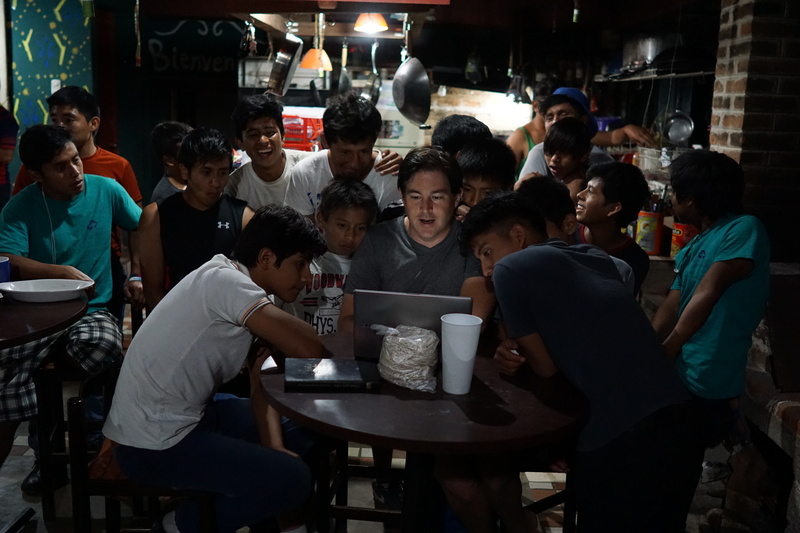 Mark shares a laugh with the boys as they look at pictures.